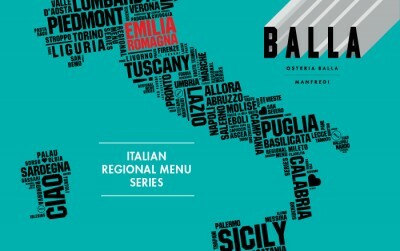 Join us at Balla on next month’s culinary trip to Emilia Romagna. Enjoy a Emilia Romagna inspired menu with matching wines for $90pp, on Tuesday 9 October from 7pm. A version of the regional chefs menu is available throughout the month at dinner Mon – Thurs and with restaurant manager Luca Carichini hailing from the region, expect a great deal of love for this menu at Balla during October .